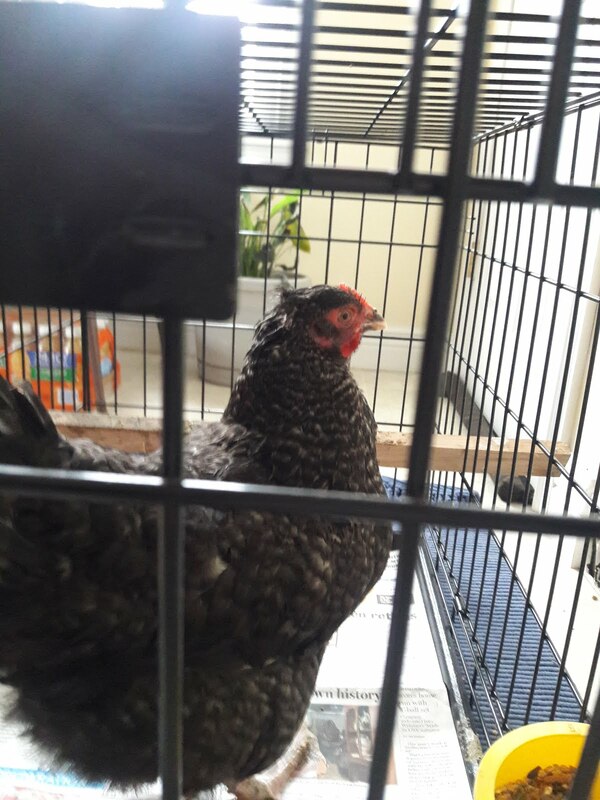 I moved Princess Diana, AKA Wonder Women or Wonder Chicken, into the house this week. Her head wound didn't look like it was healing well enough for me. I think she is sneaking out at night battling foes! Like Cheetah or Circe. She is doing okay in the dog crate in the house. I put a board across the back so she has a roost. 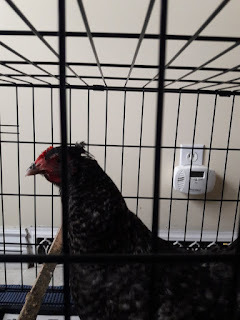 She immediately tried to roost on the food dish when I first brought her in. I just want to give her some time to heal before Bert pulls at her head again. I would have rather removed Bert for a week or more so Princess Diana didn't have to reestablish her pecking order when she goes back, even though she is on the bottom. 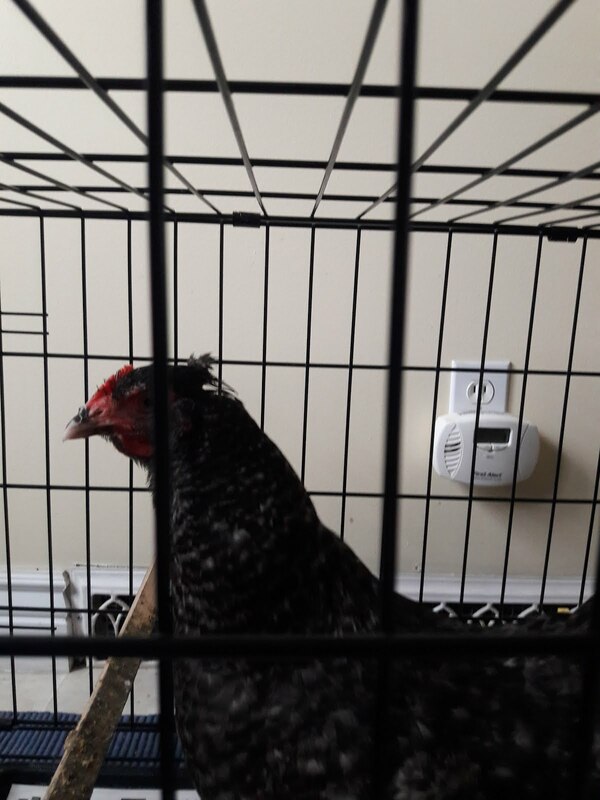 The dogs like it when we have chickens in the house because they flick their chicken feed all over the place! Yummy crumbs to lick up! 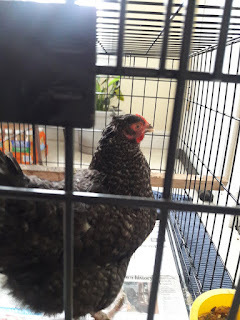 I'm also going to have to have a saddle made for Queen Ann, she is getting a bald spot on her back from Bert being too amorous. Joe is another problem...Bert still chases him off when he gets to close to the girls. I let him free range with everyone else when we are home, I figure if Bert is chasing him he's not mounting the girls! But Joe is a naught rooster. He likes to attack you, especially if your back is turned. He attached Jim yesterday when he was walking back from the barns. I told him, you have to keep an eye on him at all times.